Paul Lindwall is a full-time Commissioner, reappointed for a second five-year term in April 2019. Paul was an Associate Commissioner for the Public Infrastructure Inquiry from 2013. Paul has served as a senior official with the Australian Treasury, the Department of Finance and the Productivity Commission with a focus on macroeconomic policy, financial markets, industry policy, national security and social policy. 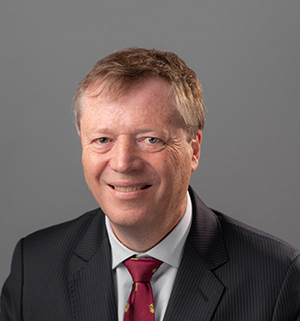 He has represented Australia at the Organisation for Economic Co-operation and Development (OECD) also covering the European Union and United Kingdom. Paul also later worked as a consultant to the Office of the Secretary-General and the Public Governance Directorate of the OECD. Paul has degrees in economics from the Australian National University (ANU) as well as a diploma in Ancient History and is a graduate of the Australian Institute of Company Directors. Paul is a member of the board of the Canberra Symphony Orchestra. He holds a Private Pilot Licence. Paul is currently the presiding commissioner for the Regulation of Airports inquiry, presiding commissioner on the National Transport Regulatory Reform inquiry, a commissioner on the study into Remote Area Tax Concessions and Payments and chairs the Productivity Commission’s Audit Committee.